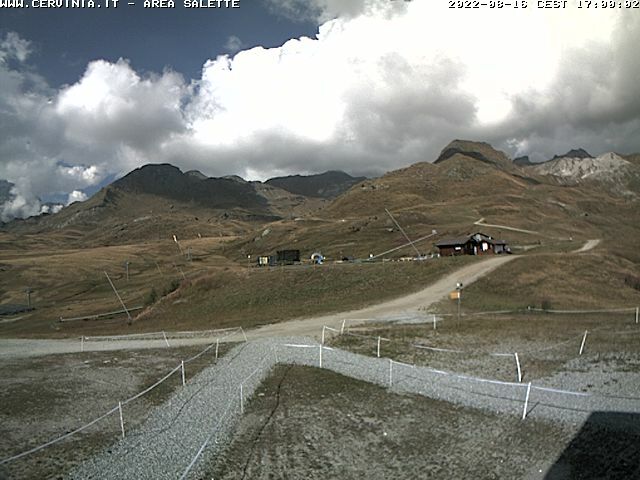 Livecam near Salette, Valtournenche, the Italian part of the Zermatt ski area. A hiking area in summer. View northeast of the Testa Grigia.